Every second counts when someone is having a cardiac emergency. The time it takes for an ambulance to reach the patient can mean the difference between life and death. TU Delft graduate Alec Momont came up with a brilliant idea to avoid traffic when getting help to people who need it. 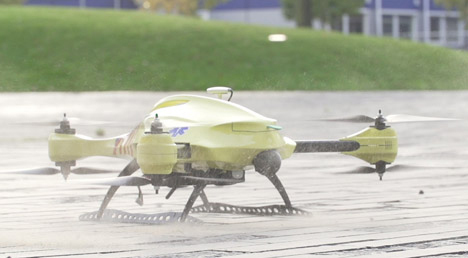 The Ambulance Drone is an unmanned aerial vehicle with an on-board defibrillator. According to Momont, the drone can travel at speeds of up to 60 MPH to reach anyone in a 4.6 mile radius from its starting point within just one minute. In this scenario, survival rates for cardiac arrests could raise from a dismal eight percent (in the EU, according to the inventor) to 80 percent. The current high mortality rate can be mostly attributed to slow response times by emergency medical workers. The oxygen-deprived brain begins to experience permanent damage within four minutes, but emergency services take an average of 10 minutes to reach patients in need. 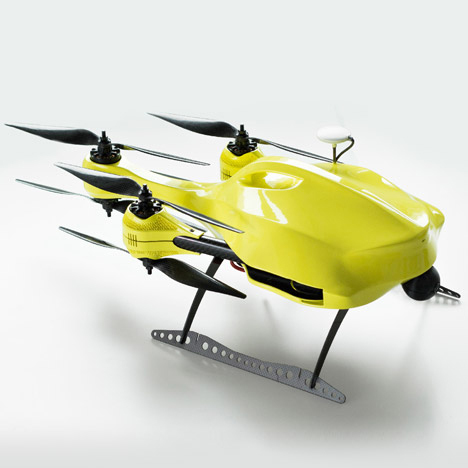 The three-armed, three-rotor drone design includes an automated external defibrillator (AED) secured within its body. When it arrives on scene, a bystander takes the equipment out to put it to work. The drone carries usage instructions which tell anyone on the scene how to use the equipment. 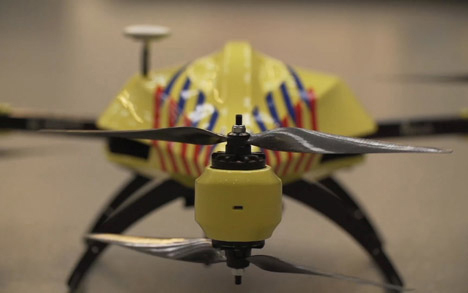 Other versions of the drone could carry emergency medication or CPR aids. Momont’s Ambulance Drone would carry a two-way video channel that would allow emergency responders to communicate with people on the scene. They could convey instructions, gather information, and assess the patient remotely. See more in Robotics or under Technology. November, 2014.